Rolling carts are well known for moving items, but that’s not to say you won’t find a smiling student riding around in one after their move. Avoid the stress of moving. Bellhops gives you an easy and fun experience that will make you never want to leave VN. 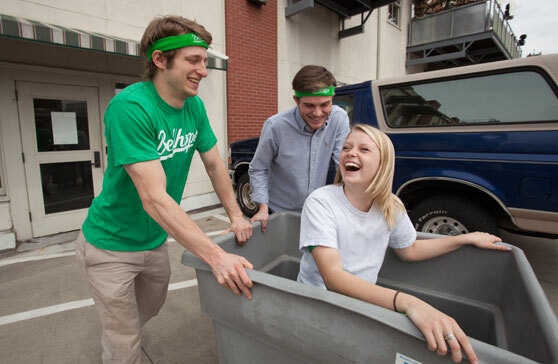 Uloop has partnered with Bellhops, the leading local, affordable VN moving service that hires trustworthy, local college students to be your answer to a stress free move day. To use Bellhops for your VN move, fill out and submit the quote form or click here to get started. With Bellhops, families spend less time moving and more time creating memories together. Providing moving help lets residents focus on this exciting new chapter in their lives or closing the chapter on their college experience. They don’t want to spend these cherished moments lugging their belongings alongside hundreds of other stressed out VN students and families. They want to explore the campus, grab a meal, and share laughs together. Don’t stress about lifting items throughout crowds on move day. We make it simple — You bring the stuff, and we bring the hustle. ON-DEMAND Book us when you need us, and we’ll be there on time, guaranteed. HONOR CODE Think the job should have taken less time? Boom, partial refund. Was something damaged? A check is already on the way. COMMUNICATION You’ll talk to your Bellhops, see their pictures, and see what they’re studying in school before you ever meet them. To find the best VN movers for all of your college moving needs, check out Bellhops, the leading Detroit, MI student moving service. 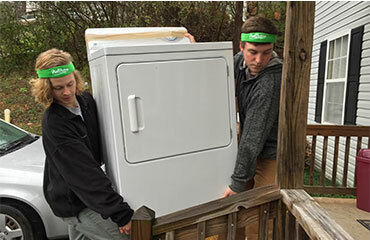 Uloop and Bellhops have teamed up to offer moving help for VN students and local residents around University of Detroit Mercy who would like VN movers to move in and out of dorms, houses, apartments, and other VN student housing locations on campus and off campus. Submit a moving quote to get rates for moving services for University of Detroit Mercy students and residents in the VN area.